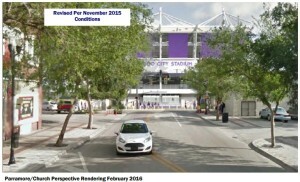 Revised rendering presented at the February 2016 ARB meeting. 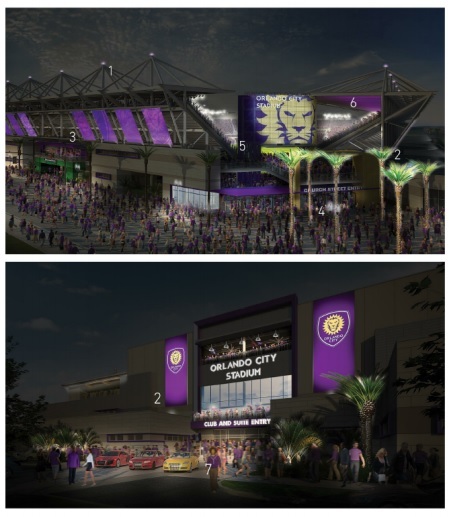 Orlando City Soccer has made several adjustments to the design plans for the new Major League Soccer stadium proposed for downtown after the Appearance Review Board deferred a decision last fall. Since the November deferral, the ARB staff worked with the team on design plans for the Church Street stadium and several updates have led to a recommendation of approval, with some additional conditions required. Team leaders will be pleased to continue moving the process along after several setbacks over the last few years. A previous proposal from 2014 faced major opposition from the ARB before ultimately gaining approval by the review board. However, now that this project is a private venue and not public, new approval is needed once again. The most significant changes from the 2014 approval – when the stadium was going to be a public venue – were made to increase seating capacity, to redesign the outdoor façade of the stadium and to provide a canopy over fans. 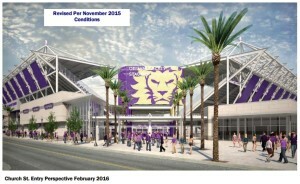 Now that the Orlando City Lions team is financing the stadium privately, the MLS stadium will seat approximately 25,000 fans. According to the November ARB staff review, the view into the pitch from Church Street has been greatly reduced and the digital screen and scoreboard have been re-located from the Parramore Avenue terminus to the southeast corner of the stadium above the Church entry. The second level bar above Church St. has been converted to open-air. Several additional enhancements have also been proposed for the Parramore Avenue terminus. “ARB Staff is in support of the modifications and enhancements in this area and is striking the condition requiring extra design enhancements to this area of the stadium’s Church Street façade,” the new report states. The streetscape plantings have also been updated to reflect the conditions in the earlier ARB staff report. In addition to the other revised plans, the soccer team has identified the location of the Parramore Heritage display area adjacent to the Pine Street entry on the east side of the stadium and submitted conceptual designs for the area (see below). 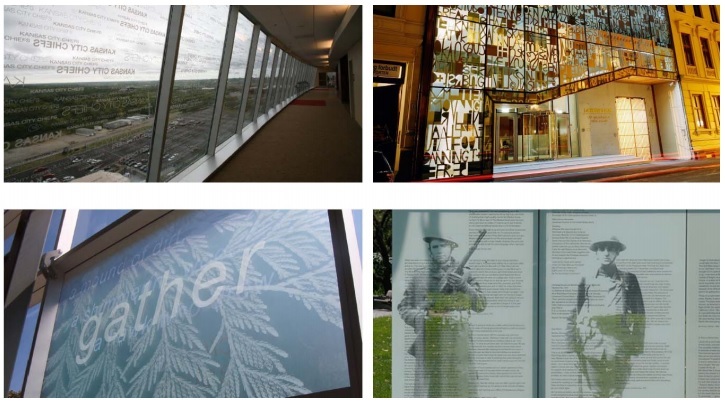 According to the latest update, “the applicant has met the requirement of providing an area for the heritage display and ARB Staff supports this location. 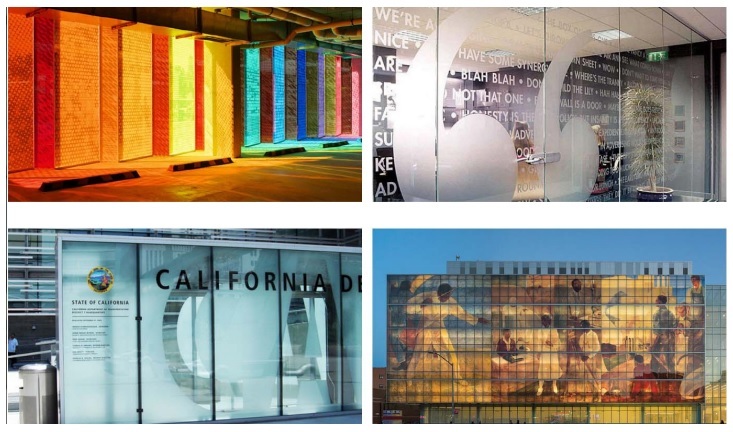 It should also be noted, that during design enhancements to the Parramore Avenue terminus area on Church Street another potential heritage display area has been identified.” The potential heritage concepts for Parramore can be seen below along with other renderings included in the ARB report. Faith Deliverance Temple defeated Mayor Buddy Dyer’s attempt to seize their church with eminent domain. 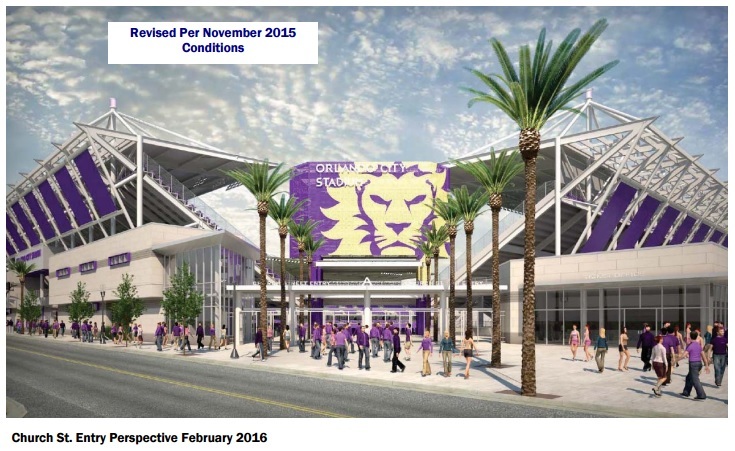 Dyer successfully used eminent domain on other parcels of land needed for the proposed stadium site, which has led to the City of Orlando being served in a lawsuit about their land sale to the soccer team. That case is still ongoing and city officials finally confirmed they were served this week. “ARB Staff has reviewed the Orlando City Soccer Stadium Major Certificate of Appearance Approval amendment application and is recommending approval of the application,” the published report states. Final architectural elevations and design will be reviewed by ARB staff during the building permit review process.